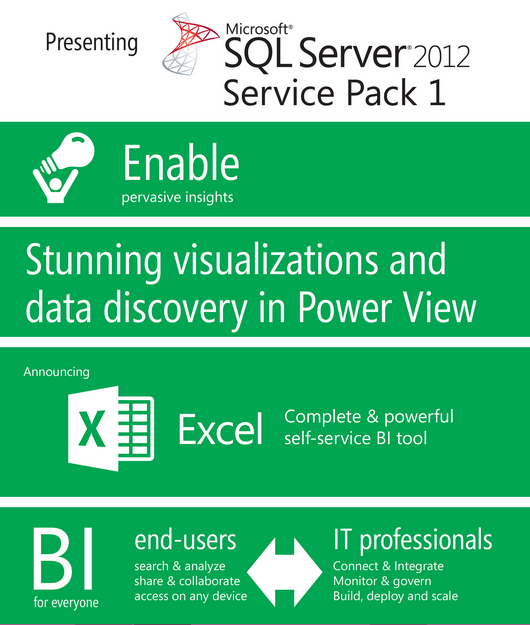 This year’s PASS Summit Microsoft announced lot of new features coming up for “SQL Server 2012” and version vNext. 1. Released SQL Server 2012 Service Pack 1: with bug fixes and lot of improvements, like Selective XML Indexes & enhancements in Self-Service BI & Excel 2013. 2. Column Store Indexes: will be extended to be created with Clustered Indexes as well. 3. Hekaton & Polybase: will be major ingredients in SQL Server vNext by 2014-15. 4. 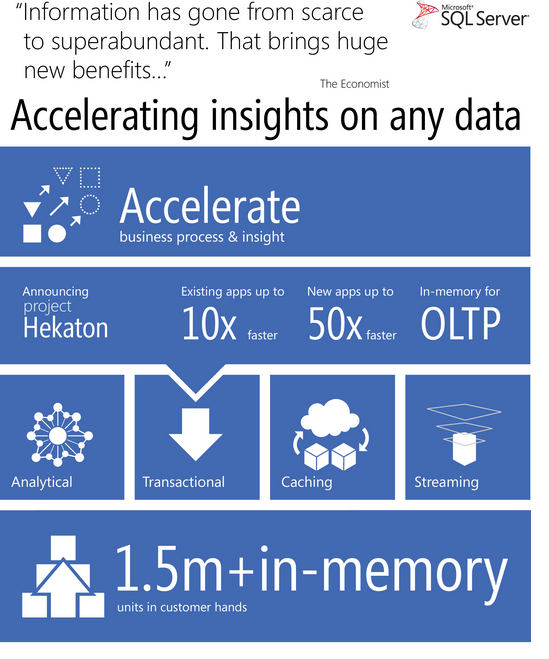 SQL Server version Next: will use Hekaton for its OLTP database to take database objects into in-memory and “memory optimize” tables, thus challenging SAP-Hana and Oracle much hyped Exadata soluition. 5. 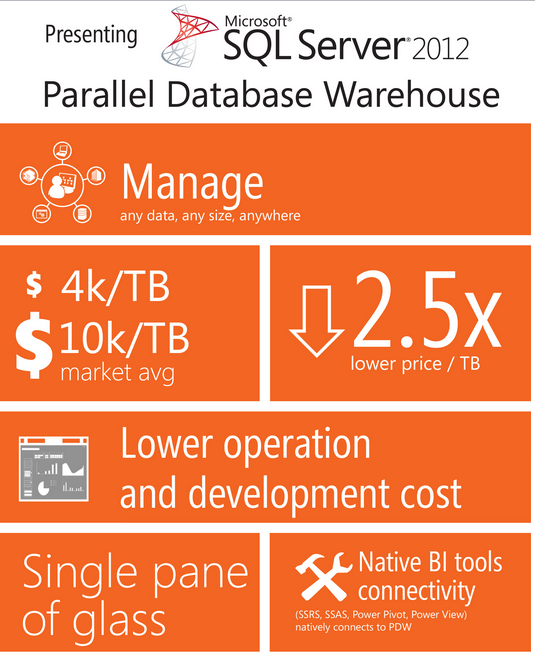 SQL Server 2012 PDW: (Parallel Data Warehouse) will be using Polybase to interact between PDW and Hadoop clusters. … I’ll be discussing more about these things in next posts, so keep tuned!! !